Even as the economy shows a few glimmers of improvement, most economists expect some continuation of job, pay and benefits cuts to continue throughout the year. What can you do about these moves, even if they’re still in the rumor stage? Hold a family meeting: Talking about money issues is a delicate balancing act between teamwork and fear, but there are already plenty of TV commercials showing Dad or Mom losing their jobs and kids rising to the occasion. As awful as economic circumstances have gotten, there’s a spirit of teamwork in the air, and families should harness it. Sit down, discuss what’s going on, and solicit suggestions equally on the best ways to conserve excess and luxury spending, save more money on essential spending and find an appropriate treat for everyone when trouble lifts. And if your kids are working age, let them get a job to help with their expenses as long as it doesn’t affect their schoolwork. Get some advice: Don’t wait until a crisis descends to get some useful strategic advice. A Certified Financial Planner™ professional will be able to help you with spending issues, but they will also be able to help you shore up your retirement investments if your company decides to alter its traditional pension plan or cut or eliminate matching contributions to your 401(k). Create a budget and stick to it: Whether you build one in a family meeting or in front of a computer screen by yourself, it’s time to budget. Analyze every cent of spending, build a budget of mainly essentials and a few scheduled treats and swear to live by it to the letter until your employer restores pay and benefits or you find a new job. And when happy times come back, do one more thing – see if you can still stick to that budget so you can accumulate an emergency fund and additional savings. You’ll be in a much better position when the next downturn occurs. Boost cash flow through simple withholding changes: Talk to your tax professional about whether it makes sense to boost your withholding allowances to make up for that percentage of lost pay. If you find you’re claiming too many allowances, you can send in an additional tax payment later. Renegotiate what you’re paying for insurance. If you have an emergency fund, raise your deductibles on home and auto insurance so you can save on premiums. If your car is old, consider dropping that collision coverage and make sure you have your policies consolidated with one carrier because that can save you money. One more thing to consider – do you absolutely need that extra car? Selling it and car pooling or shifting to public transportation can save you thousands a year. Start haggling over bills and fees: Sick of that cable bill? Either cancel it or tell your provider you’re going with a competing satellite or phone-based TV network and see if you can get a lower rate. Start pre-shopping all purchases online, and if you buy online, use discount codes to save money on your purchase and on shipping. Start asking about pricing on elective medical procedures among a range of doctors. Wherever you buy a product or service, make it a policy to see if there is a cheaper way to do the transaction. The worst thing the merchant, company or professional can say is “no,” and you can choose whether to stick with them or go elsewhere. Refinance your mortgage: While rates are low, lock in a rate cut of a percentage point or more and lop at least $200 or more off your monthly payment. You might gain some tax advantages from that move as well as cover a good portion of your pay cut. And if you find your company will be cutting its match to your 401(k) plan, that might not be a bad place for the surplus funds to go either. Downsize your home: If you can sell your current residence, this might be a good time to downsize into a smaller home that gives you more equity and a lower mortgage payment. Start buying used. Can you really tell whether someone wore that blouse that originally cost $300 that you picked up for $15? Are used DVDs that much harder to watch than new? Start getting familiar with Internet auction sites, local flea markets, consignment shops and thrift stores to find ways to stretch a budget farther. Plan a job search: You might absolutely love where you work and are willing to be a team player toughing out the downturn. But fortunes can deteriorate as well as improve at companies with severe cutbacks, so it’s wise to spruce up that resume while you have time to think about it and start networking just to see what’s going on in other parts of your industry, your city, or possibly in other cities. And if you can do it quietly, start lining up respected professionals to provide references. 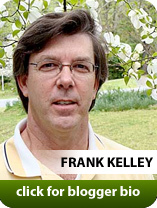 July 2009 — This column is produced by the Financial Planning Association, the membership organization for the financial planning community, and is provided by Frank Kelly, CFP® , a local member of FPA. Previous PostThe Science of DebtNext PostWhat’s Your Money Personality?